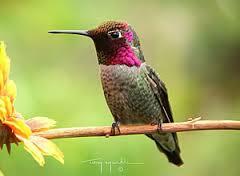 Hummingbirds are a special treat in the garden and we always consider ourselves lucky to see one. 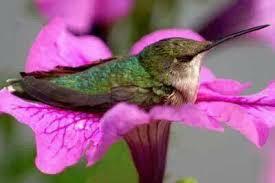 But did you know that seeing one in your garden doesn’t have to rely on luck? 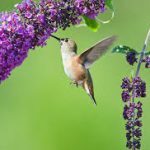 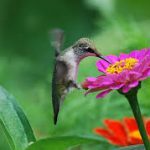 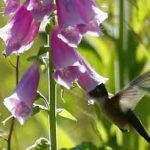 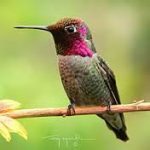 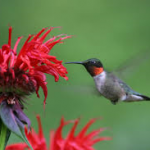 You can make your garden a hummingbird retreat and design it to be hummingbird friendly and plant flowers that will bring them to your garden. 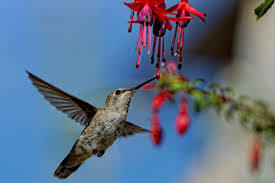 You need to provide plants rich in nectar, plus a source of shade and water. 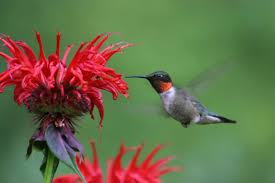 This will bring hummingbirds to your garden regularly. 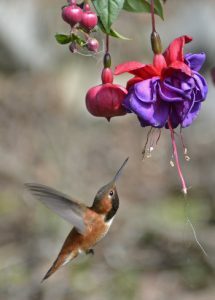 While they are mostly attracted to tubular blooms; they also love orange, pink and yellow blooms. 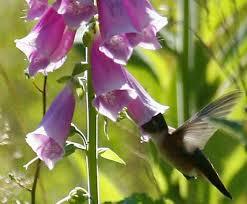 And single blooms will provide easier access to the nectar than multiple blooms. 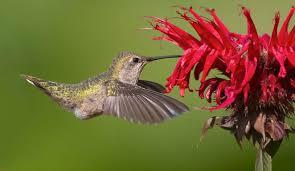 Hummingbirds are not continuously flying – they like to rest as well, so shrubs and trees will give them a place to rest and to nest as well. 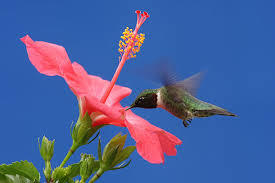 They need eight times their body weight in water on daily basis, so a small garden fountain with a small spray nozzle of a dripper near your flower bed will attract them. 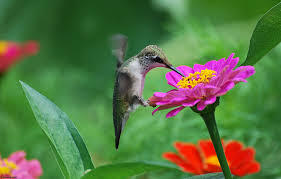 They are big eaters, so what are some of the best flowers to provide them with food and attract them to your garden? 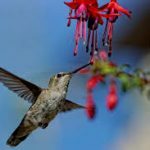 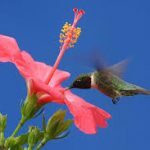 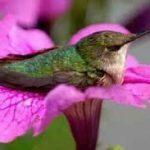 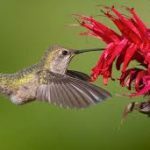 We looked around for a list of flowers to attract hummingbirds to your garden. 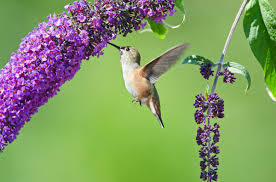 Wow, there are lots. 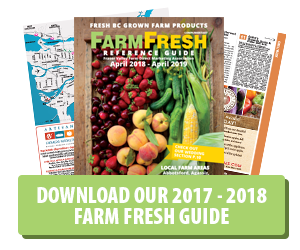 We’d advise you to talk to someone at your favorite BC Farm Fresh garden centre. 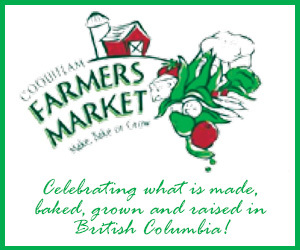 They can be found at: http://www.bcfarmfresh.com/farm-products/bedding-plants/.